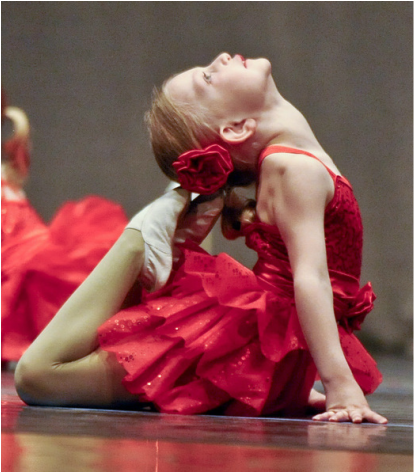 Our goal is to make the recital weekend stress-free for you so that you can focus on celebrating your dancer’s accomplishments. After reading through this policy sheet, please feel free to ask any questions that you might have so that we are all “in the know.” jen@spiritexpressions.biz is the best way to reach us. You could also call 517-490-0392. Dress Rehearsal – FOR DANCERS AND PARENTS ONLY!!! This is your chance to have a practice run of the show! Get comfortable with the venue, find your dressing room, learn the order of the show. All dancers need to wear full costume and stage make up including foundation, eye liner, eye shadow, mascara, lipstick, and blush. No jewelry unless your costume came with it. No nail polish. We’ll begin with the Grande Finale at 6:00 p.m. and then run the show from beginning to end. You are allowed to leave after you finish your routine(s). Please have your picture taken by Gleason’s Portrait Studio while you’re here. See more info on the reverse side of this policy sheet. Recital – FOR YOUR FAMILY AND FRIENDS ALIKE! This is a special night! It’s a beautiful celebration of what your dancer has been learning all year! Bring your camera for all of the great moments that are sure to come! All dancers need to wear full costume and stage make up including foundation, eye liner, eye shadow, mascara, lipstick, and blush. We’re going to have a large screen in the choir room so that the dancers can see the entire show on the big screen as it’s happening. No dancers are allowed in the auditorium during the show. All dancers should be picked up by a parent after the show in the choir room. We will provide supervision in the choir room. BACK BY POPULAR DEMAND: All of the baby stars will have a “Mini Finale” after the second baby stars routine. This will be a chance to take a bow for the audience and then go and sit with their parents for the rest of the show. They are not required to stay for the Grande Finale at the end of the show. (This is only for our Baby Stars Students). If you’d like to have dinner delivered to the auditorium for you and your family on Friday night, please see the order form in your recital info packet. Subway of Laingsburg will be providing the sub sandwiches. Our competition team is sponsoring the sub sales. We thank you for your support! Gleason’s will once again be offering dance photo packages for our dance families. Even if you do not want to purchase a package, please have your dancer photographed for our pictorial history in the hallway at the studio. Gleason’s Portraits will be available for pick up at the dance studio on a date to be announced. Lakeside Gardens offers you a chance to order a bouquet for your dancer ahead of time and pick it up at the show. All bouquets should be picked up no later than intermission of the recital. You can also place an order by phoning Lakeside Gardens at 651-6223. 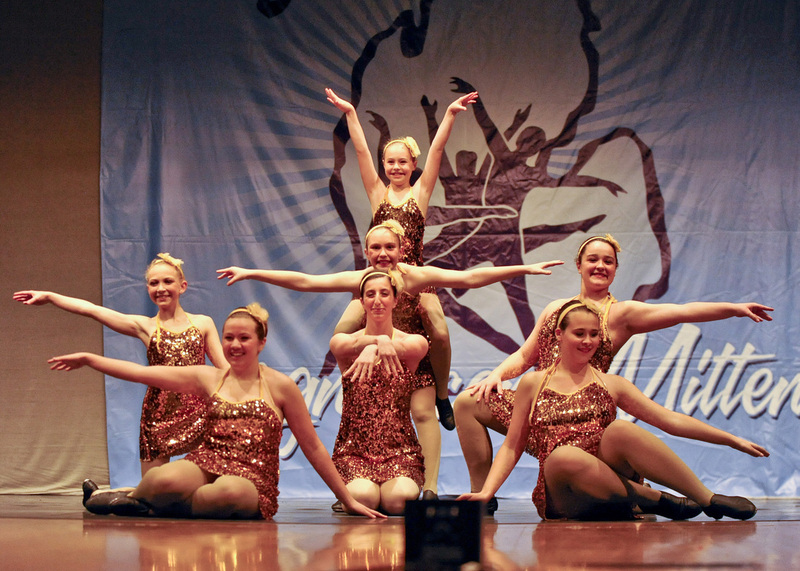 Memories in Motion will be videotaping our recital again this year. They have been videotaping dance recitals for many years. Please check out their dance recital work on their website: www.memories-n-motion.com. You are more than welcome to videotape as well! You are going to want this on film! Recital videos will be mailed directly to your home when they are ready (4 – 6 weeks after the show). Everyone in the audience needs a ticket except children under five. We use this money to pay for the auditorium rental, so please be respectful of the rules. Tickets will be sold at the studio during the week of the show, at dress rehearsal, and at the door. Tickets sold before Saturday, April 27th are $10.00; tickets sold on the night of the show are $11.00. Children under five are free. Directions to the auditorium will be printed on the back of the tickets to assist your guests. After the show, we’ll want to celebrate! Please join us to watch the recital video, share snacks, and pass out awards on either Tuesday (4/30) or Wednesday (5/1) from 5 – 7 p.m.